MONTREAL, QUEBEC--(Marketwired - Feb. 1, 2016) - Urbanimmersive Inc. (the "Company" or "UI") (TSX VENTURE:UI) is pleased to announce today the signing of an Agreement with Centris® to commercialize locally and internationally Urbanimmersive's real estate visual content providers marketplace (the «Solution»). This Agreement closes the negotiations announced in August 2015. As part of the agreement that will have an initial term of five years, Urbanimmersive will provide its online marketplace platform and Centris® will take over its commercialization. Customer Service with its real estate brokers will be the responsibility of Centris®, while services to visual content providers will be handled by Urbanimmersive. The parties have agreed on a sharing revenue model in order to meet their respective obligations. The visual content providers marketplace will be white labeled Centris® Marketplace with the mention, «powered by Urbanimmersive». The roll out of the Solution to Centris® 13000 real estate agents network is expected to be in the months of March and April 2016. « We're extremely happy to sign this partnership agreement with Urbanimmersive. The creation of this partnership stems from our objective to offer to our network a solution that simplifies and enhances the use of professional visual content providers that meet high quality standards.» Added Eric Charbonneau, General Manager of Centris®. The agreement also stipulates that a representative of Centris® will join, without compensation, the Board of Directors of Urbanimmersive. 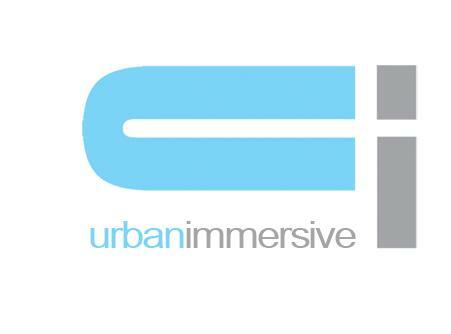 «This partnership is strategic for Urbanimmersive. First because of the impact it will bring on our revenues but also because of the visibility it will provide to our entire content marketing solution. » Said Ghislain Lemire, CEO of Urbanimmersive. The visual content marketplace developed by Urbanimmersive allows real estate brokers to find, compare and book online real estate visual content providers offering photograph services, videos, virtual tours, immersive visits, 3D tours, aerial photographs and other digital media. The platform is open to freelancers as well as established photographer agencies in order to provide a greater diversity of service offerings to real estate brokers. The visual content Marketplace solution is part Urbanimmersive's marketing content platform. Marketplace revenues come from monthly subscription, transactional and commission fees. Centris® is a division of the Greater Montreal Real Estate Board exclusively offering technological resources to 12 real estate boards of Quebec and their more than 13,000 real estate brokers. Centris.ca is the website portal of the Quebec real estate industry for consumers, where all properties for sale by real estate brokers in Quebec are grouped at the same address. Urbanimmersive is the industry fastest growing unified network of real estate news. Thanks to our content marketing platform, we help real estate organizations (agencies & associations) to capitalize on the strength of their network of members to increase their web visibility, brand engagement and ultimately their income. Our integrated web offering allows our customers to simplify the production, publication, management and sharing of real estate marketing content thus increasing their productivity and competitiveness. Our solution gives each user a free newsroom website, a content management system (CMS) from which they can create marketing content, buy exclusive long-form articles from freelance writers specialized in real estate and order architectural photographer services through our approved, insured and regulated visual content suppliers marketplace. We monetize our marketing content platform in multiple ways such as visual written content production services, commission income on purchases of real estate articles in our online store, transactional revenues from the visual content marketplace as well as subscription revenues for website advanced features and services. Our clients are real estate industry players: real estate agencies and associations, realtors, new home builders, architects, interior designers, landscape architects, renovators, manufacturers of furniture and decorations accessories, etc. Each client participates in the construction of our vision to become the largest unified network of real news in the world thereby creating a discovery content platform for consumer products advertisers wishing to reach a highly qualified and engaged audience. Urbanimmersive management wishes to emphasize that it is not yet possible to establish the value of this agreement in terms of revenue. Factors such as the rate of adoption of the Solution by the Centris® network of 13,000 real estate brokers as well as the responsiveness of visual content providers will both have a direct impact on the potential revenues of this agreement. Certain statements made in this press release that are not historical facts are forward-looking statements and are subject to important risks, uncertainties and assumptions. The results or events predicted in these forward-looking statements may differ materially from actual results or events. As a result, readers are cautioned not to place undue reliance on these forward-looking statements. For additional information with respect to certain of these and other assumptions and risk factors, please refer to the Corporation's management proxy circular dated March 25, 2015, and filed with the Canadian securities commissions. The forward-looking statements contained in this press release represent our expectations as of the date hereof. We disclaim any intention and assume no obligation to update or revise any forward-looking statements.